Lighting: How Do We Solve The Productivity Puzzle? We find out why a leading lighting manufacturer believes the answer to the UK’s well-documented ‘productivity puzzle’ is to focus on employee wellbeing. 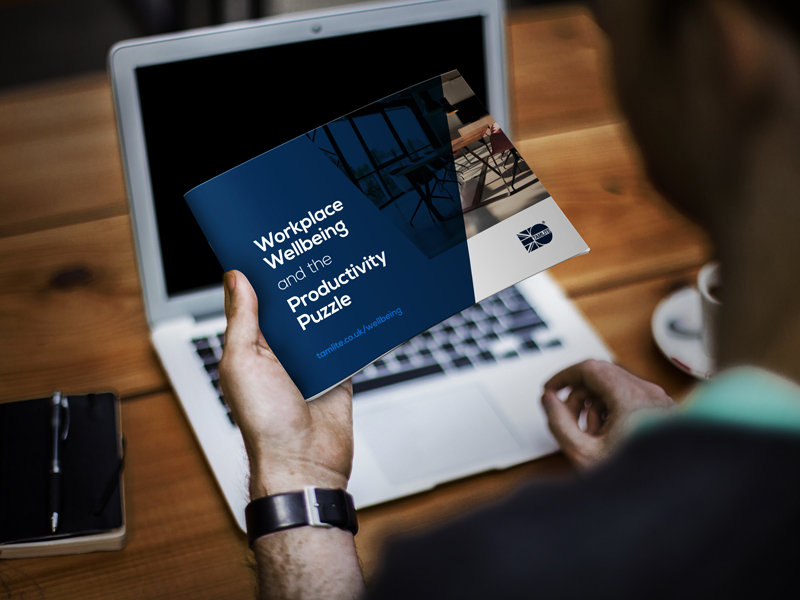 Workplace Wellbeing and the Productivity Puzzle, published by Tamlite Lighting, is a new publication that explains the disconnect between businesses’ perceptions of output issues and employee wellbeing. Specifically, it addresses the impact that greater investment in ‘people-focused’ building services strategies can have on workplaces of all types and sizes. One of the key elements emphasised in the report is the many health benefits (both physical and mental) that modern, efficient LED lighting can deliver to the workplace. The manufacturer argues that workspaces designed with more ‘human-centric’ approaches to heat, ventilation and of course lighting, can make a massive contribution to employee wellbeing, positively impacting the bottom line. This is because these building services functions have a direct impact on personal performance, creativity, mood and function. Debbie-Sue Farrell, Head of Wellbeing at Tamlite, says lighting, if tuned to work in harmony with the natural bio-rhythms of workers, offers a myriad of benefits: “Businesses of all kinds are trying to find new ways to lower stress levels and improve the general health of their workforces. “Our view – which is backed up by science and research from across the globe – is that consideration of lighting needs to be an immediate starting point for most businesses. If correctly designed and specified, LED lighting can have an extremely positive impact on business performance, productivity and profitability. This is achieved through measurable reductions in absenteeism, as well as noticeable improvements in terms of staff retention and attraction too. 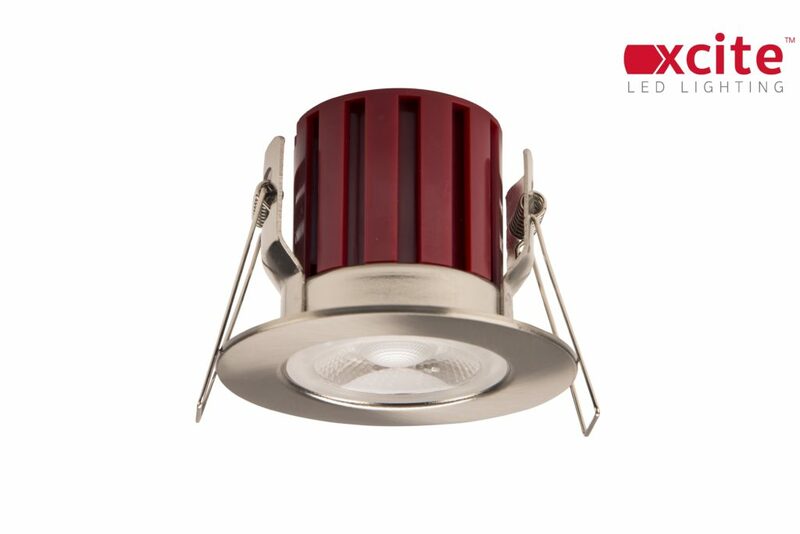 Designed with ease of installation in mind, to make work easier for contractors, this small fire-rated downlight packs a big punch, achieving an exceptional 100 lm/W, affording significant energy savings for end users. Available in white or satin nickel, with 2 colour temperature options and dimmable as standard, the new 5W FRD Mini from xcite allows greater customisation to create a style that that matches the tone of the building. The product lends itself to both residential and retail environments, to produce a lighting system that values aesthetics as well as performance. It also achieves a CRI of Ra>80, providing quality colour rendering to accentuate products in retail stores. Strong spring clips on the fitting keep it in place to avoid dislodging, which can affect aesthetics and safety. To ensure the safety of occupants, the xcite FRD Mini has a steel body with fire-rated protection (30, 60 and 90 minute certification), crucially preventing the spread of fire in an emergency. The fitting has an integral driver, with loop in/out mains connections, providing an all-in-one package for installers. The xcite FRD Mini is supported by a three-year warranty.